As you can from the title of this posting, I really, really like white chocolate — its sweetness, delicate flavor, luxurious texture, and ability to pair so nicely with a wide variety of ingredients — raspberry, strawberry, lemon, lime, and chocolate. In a restaurant or bakery, if there’s a white chocolate dessert, that’s almost always the one I’ll pick. I wonder if some people are confusing real white chocolate with inferior tasting “summer coating” (also known as “compound coating,” “white confection” or “vegetable fat coating”). True white chocolate consists of cocoa fat, milk solids, milk fat, sugar (or another sweetener) and small amounts of emulsifier and whey. The only fats allowed in white chocolate are cocoa and milk fats. Also, real white chocolate cannot contain artificial color; that’s why it’s ivory, and not white, like summer coatings. To add insult to injury, the vegetable fats in imitation white chocolate tends to be hydrogenated or partially hydrogenated – particularly unhealthy fats. 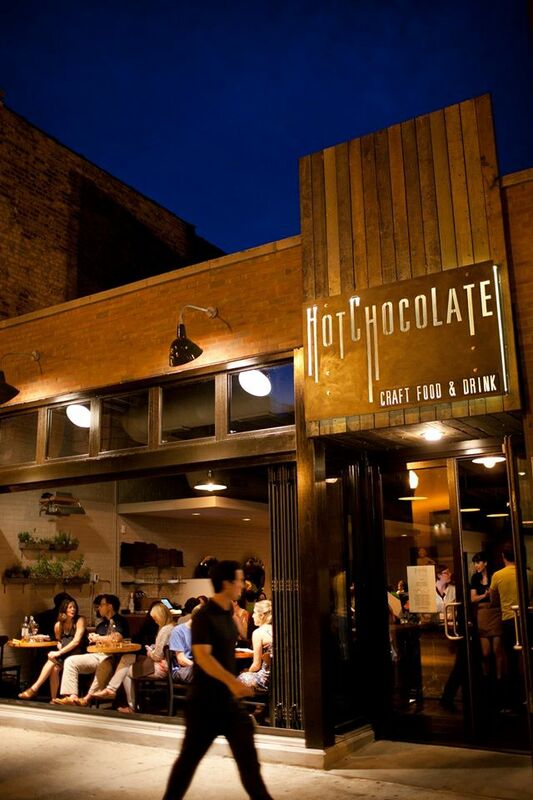 I think white chocolate has been stigmatized – for not being cool or sophisticated enough. Some dessert and food connoisseurs may not want to admit, even to themselves, that they like white chocolate. But Anthony CIrone, a co-owner of Li-Lic Chocolates (www.li-lacchocolates.com) often finds that people who don’t think they like white chocolate taste it and become fans. While white chocolate products represent a small percentage of Li-Lac’s business, its White Chocolate Almond Bark, with roasted almonds, is especially popular.Will white chocolate become more popular? Steve Kravets, Director of Procurement for 2 beans (www.2beans.com), a retailer and coffee bar stocking an amazing assortment of chocolates, thinks white chocolate is becoming more popular as more high-end chocolatiers are crafting white chocolate products. Steve also notes that these high-end chocolatiers are starting to pair novel ingredients with white chocolate. The big news in the white chocolate world is Valrhona’s Dulcey Bar. Dulcey got its start when a Valrhona chocolatier forgot about some white chocolate simmering in a water bath. Hours later the white chocolate had caramelized and was blond in color. 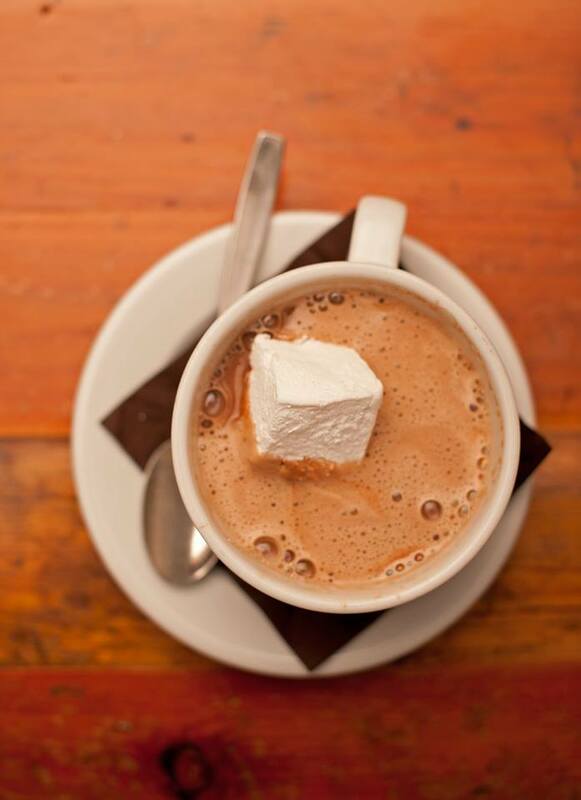 Valrhona recommends pairing Dulcey with these ingredients: caramel, coffee, hazelnut, and low-acidic fruit. I look forward to other white chocolate products and innovations! If baking delectable desserts isn’t reward enough, how about getting paid for your dessert creations? Well, you can, if you win a baking contest. And as you’ll see, these baking contests award very appealing prizes. The Pillsbury Bake-Off is the biggest baking contest and its very generous prizes might even tempt non-bakers to pick up rolling pins. The grand prize winner is awarded $1,000,000 plus GE appliances. The second and third prize winners don’t walk away empty handed; they receive $10,000 and $5,000, respectively, plus GE appliances. Sponsor awards sweeten the pot. Recipes must: include seven ingredients or less; take 30 minutes or less of preparation time; and use two different eligible products (from a long list of products). 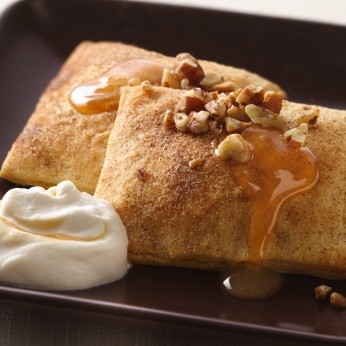 While contestants’ creativity is therefore somewhat limited, a very interesting sounding “Pumpkin Ravioli with Salted Caramel Whipped Cream” recipe took the grand prize in 2012. The book, “Cookoff: Recipe Fever in America” by Amy Sutherland is a fascinating look at a number of cooking contests/contesters, including the Pillsbury Bake-Off. 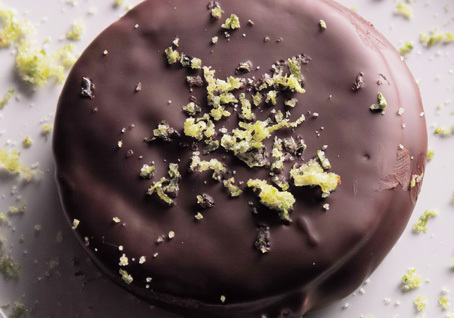 “Margarita Moon Pies” received the grand prize in 2012 and the “adventure ingredients” used were tequila and chili pepper. The winner receives $250,000 in addition to a cookbook contract. It’s not a traditional baking contest. Rather, it’s a reality TV show. Each week the group of amateur bakers is presented with three baking challenges: “Signature Bake,” Technical Bake,” and “Showstopper Bake” and one contestant is eliminated each week. Do you know of other baking contests with lavish awards? Please let us know. Lately I’ve been noticing passion fruit-based desserts. Passion fruit makes its very interesting presence known in gelato, sorbet, ice cream, chocolate, macarons, tarts, and even as a glaze over doughnuts.Why would passion fruit be used in desserts? It has an assertive and intriguing sweet-tart flavor. 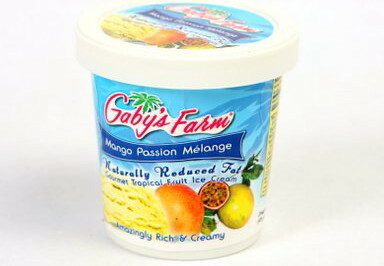 Passion fruit pairs beautifully with ice cream and cream, chocolate, and other fruits such as mango, orange, and banana. And since it’s grown in warm climates (and is native to South America), passion fruit-based desserts can make us feel as though we’ve escaped to the tropics, even if the trip lasts for just a few minutes. I thought passion fruit was only very recently used in desserts, but that’s not the case. Jon Snyder of Il Laboratorio del Gelato, a high-end, producer and retailer of unique flavors of gelatos and sorbets, told me that he’s been in business for almost 11 years and has been offering passion fruit sorbet and gelato for 10 years. Another ice cream purveyor, Gaby’s Farm, in South Florida, has been offering passion fruit ice cream and sorbet even longer – since 1999. Her passion fruit varities now include: Pure Passion Ice Cream, Mango Passion Sorbet, Manago Passion Melange Ice Cream, and Passion Sorbet. What differentiates Gaby’s Farm from other ice cream vendors is she grows her own fruit. Gaby Berryer said passion fruit is the main crop at her farm and it’s hand pollinated. There is interest in passion fruit desserts. 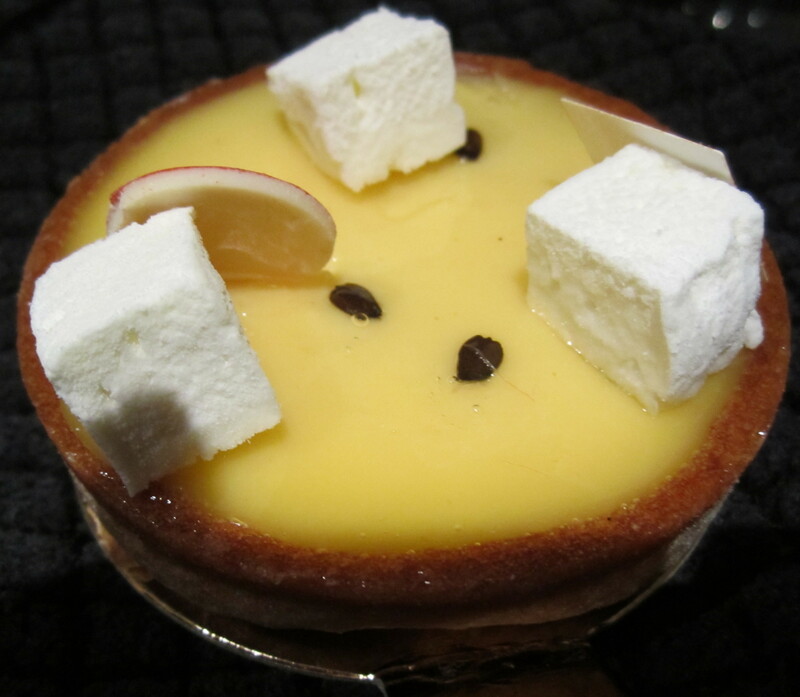 A web search of “passion fruit desserts” brought up over 3 million hits. Earlier this year, Tootsie Roll Industries added a passion fruit flavor to its Frooties (soft chewy candies in fruit flavors) line. And Olivier Dessyn of Mille-Feuille, a high-end Manhattan bakery specializing in macarons and napoleans, notes that he has offered passion fruit macarons since he’s opened and this flavor macaron is a best seller. And the increasing interest in Latin American cuisine also bodes well for the continued popularity of passion fruit desserts. But what could negatively impact the popularity of passion fruit-based sweets? The lack of familiarity with passion fruit. Amella, a producer of artisan cocoa butter cararmels, introduced passion fruit into its line in 2009. 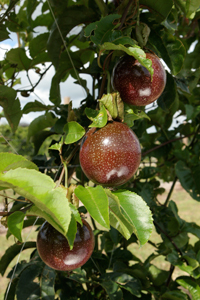 However, Amella recently eliminated the passion fruit variety due to poor sales. (I’ve purchased these Passion Fruit Caramels and think they’re delicious; I’m sorry they will no longer be available.) Emir Kiamilev of Amella notes: “I don’t think passion fruit will be a very popular ingredient in chocolates because many people don’t know what a passion fruit is, and therefore will never even try it.”It is probably the more adventurous eaters, willing to sample exotic foods, who are driving sales of passion fruit-based desserts. Another macaron bakery, La Maison du Macaron, reports that its passion fruit macarons are popular. Yet, for this bakery, passion fruit macarons seem quite tame when compared with some of its other sophisticated macaron offerings – cassis, strawberry mint, rose, and kir royale. But as someone who has recently become a fan of passion fruit in desserts, I certainly hope these desserts will be available for a long time! 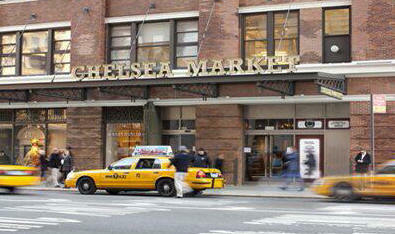 It may sound awful, but I’m sorry the tourists, tour buses, and food tours have discovered Manhattan’s Chelsea Market. (This food mecca’s tenants are mainly manufacturers or wholesalers who locate their small retail stores/stalls here.) My trips to the Chelsea Market to purchase big cookies from Amy’s Bread, fish from the Lobster Place, or chocolates from Jacques Torres, have to be early in the morning to avoid the crowds. And it’s not just that there a lot of people – there are a lot of camera-toting folks who walk three or four abreast in the narrow curving hallway of the Market and suddenly stop short to snap photos of the Market’s unusual waterfall. 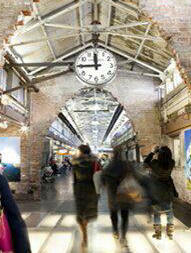 I can understand why the Chelsea Market attracts tourists. I’m sure they’re captivated by the Market’s quirky layout, thrilled that the Food Network is based upstairs, and charmed by the market’s history. The Chelsea Market is part of the complex where The National Biscuit Company’s ovens turned out Oreos, Vanilla Wafers, Fig Newtons, and other goodies. What I sometimes wonder if why so many “locals” shop there. While Manhattan supermarkets often have somewhat meager offerings, chains such as Whole Foods, Trader Joe’s, Fairway, and even Costco (one store in Manhattan!) make sure Manhattanites have plenty of food choices. I’m sure the Market’s proximity to the Highline – the abandoned elevated railroad tracks turned into a very popular urban park – doesn’t hurt.The definition of a market is a concentration of stores. It’s this concentration that attracts shoppers. And the Chelsea Market’s stores are particularly unique. 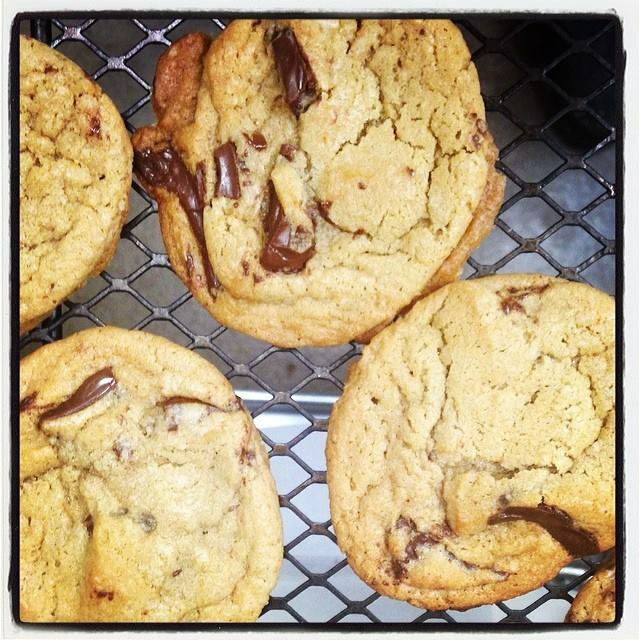 Hankering for cookies and bread from Amy’s Bread? The whole Amy’s Bread “chain” consists of only three locations. Need Italian specialty food products? Buon Italia’s only location is in the Chelsea Market. I know it’s the unique stores and tasty offerings that draws me to the Chelsea Market, even though the Market is not very convenient to where I live. And that’s probably the attraction for other New Yorkers. 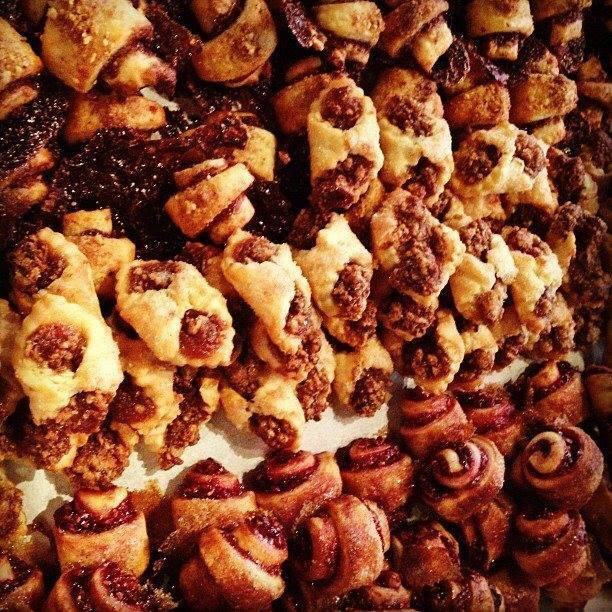 Since this is a dessert-themed blog, I would be remiss if I didn’t mention my favorite sweet treats from the Chelsea Market. 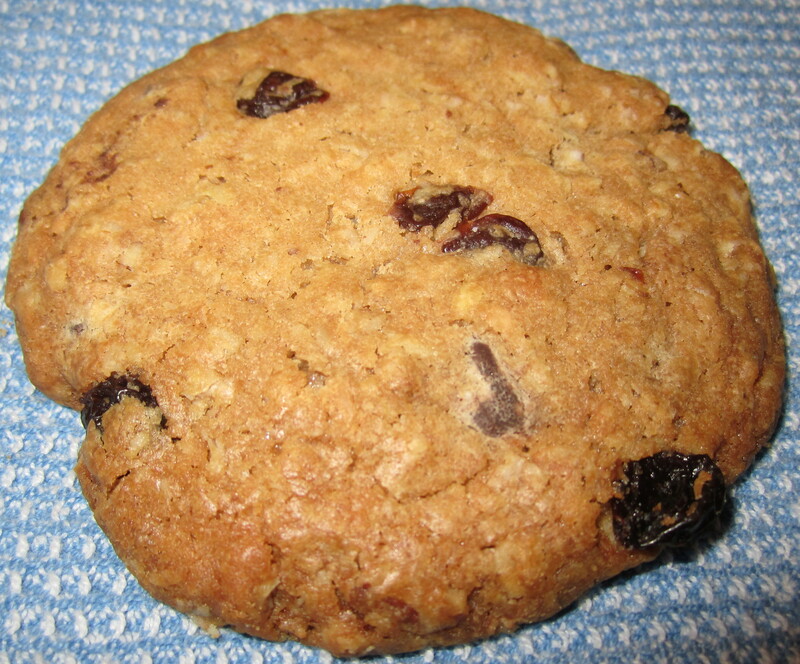 I’m particularly fond of the “White Chocolate Cherry Chunker” cookie from Amy’s Bread. 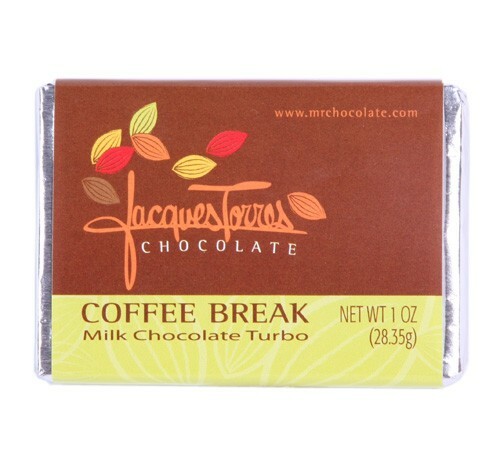 And from Jacques Torres Chocolates, my favorites are the “Love Bug” – a white chocolate square enclosing a key lime filling and the milk chocolate “Coffee Break” bar. To make sure you have enough of a caffeine buzz, this bar combines chocolate with coffee. Recently I toured the Good Housekeeping Research Institute – the product testing arm of Good Housekeeping magazine. Good Housekeeping issues a limited warranty for products that have earned the Good Housekeeping Seal. It was fascinating to see how the different test labs are set up to evaluate all sorts of products – ranging from plastic food storage containers to bathing suits to televisions to vacuum cleaners to anti-aging facial cleansers. Of course, the area near and dear to my heart is the Test Kitchen, also known as the Food Department. Among other responsibilities, the Food Department develops all the recipes that are in each issue of Good Housekeeping. Recipes are tested multiple times – at least three – and they’re tested using gas ovens as well as electric ovens, and are also tested using different brands of appliances and cookware. But the equipment used is what Good Housekeeping readers are likely to have in their homes – not commercial grade apparatus. 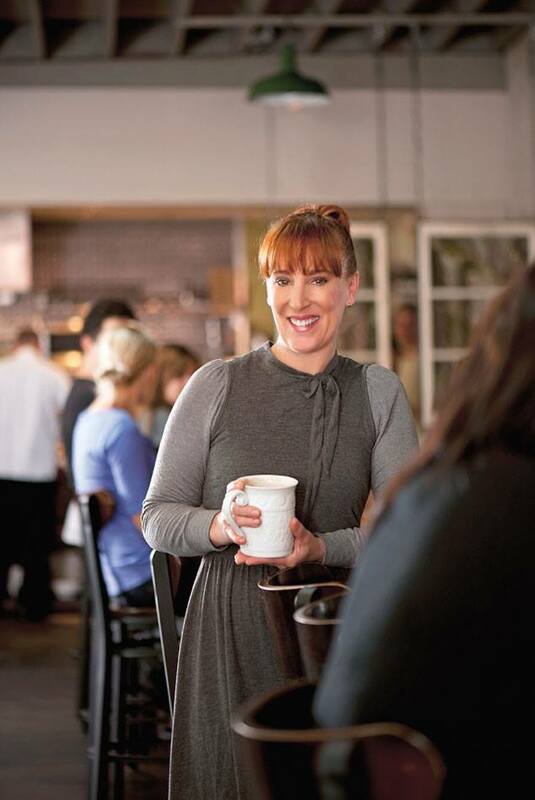 The Test Kitchen staff also creates and tests recipes for Good Housekeeping cookbooks. 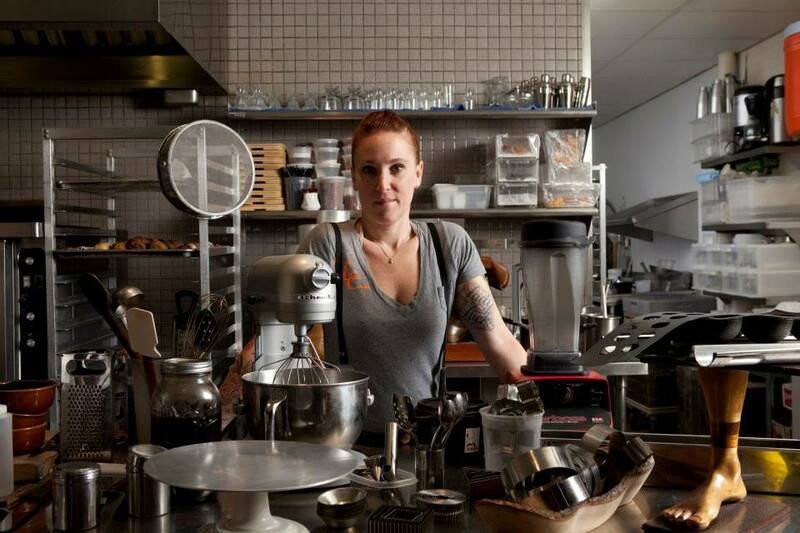 Each recipe takes months to plan, test, and tweak. There can be surprises. 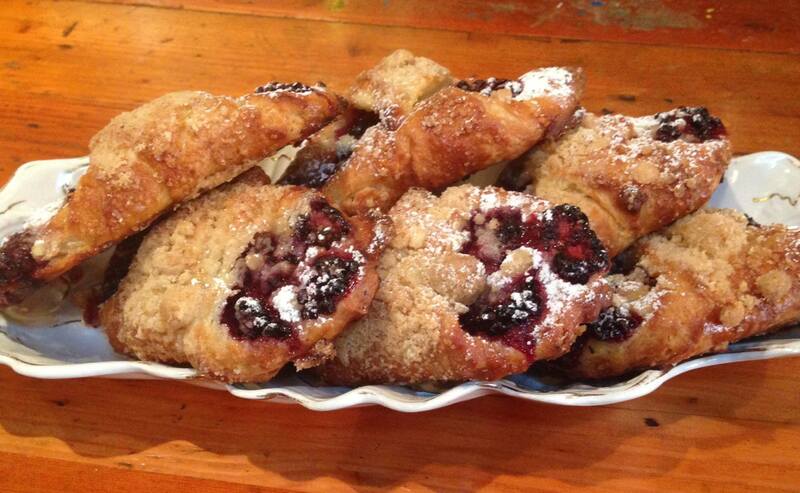 In response to a recipe contest, “My mom makes the best _____________” readers submitted their treasured recipes. The Food Department baked a cake from one of these submissions and the cake that emerged was unusually heavy. Apparently there wasn’t enough sugar in the recipe, and that accounted for the heaviness of the cake. According to the web site, in a typical month, the Good Housekeeping Test Kitchen buys $2,241 worth of groceries, conducts 142 taste tests, and washes 6,481 dishes. An interesting tidbit from the web site: The Food Department staff keeps their weight off, not by spitting out the food, but by “eating strategically.” They only taste a few bites of a dish and if they will be tasting desserts, they’ll skip lunch. 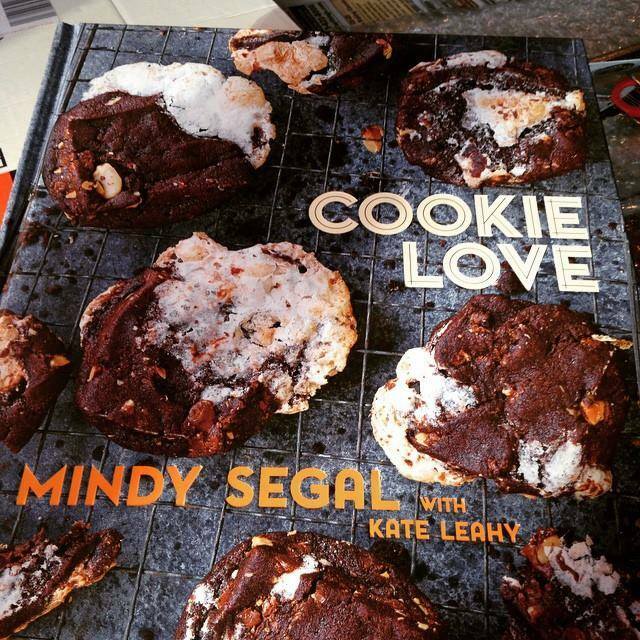 After I completed the tour, I wondered: Do all magazine and cookbook publishers perform such rigorous recipe tests? If so, why do so many recipes not turn out quite the way I think they should? Before, it was so much easier to blame the recipe. Now I may need to blame the baker/cook (me!). (1) Bakeries/chocolatiers known for their macarons typically offer a number of different flavors. How do they ensure that all of the varieties are fresh? 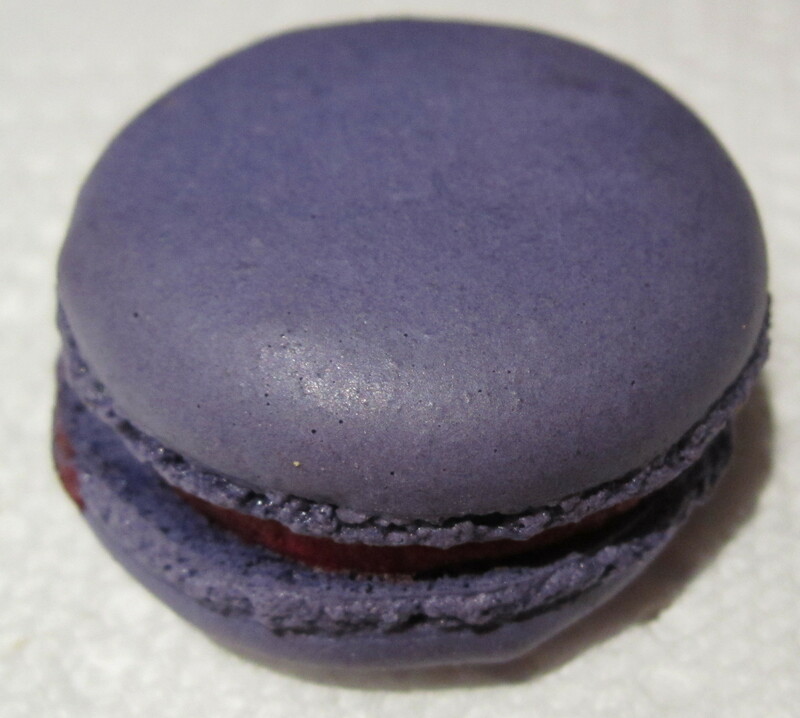 Over the last few years, I’ve eaten macarons that regrettably, weren’t as fresh as they could be, and once, horror of all horrors, I tasted a macaron that had definitely turned. 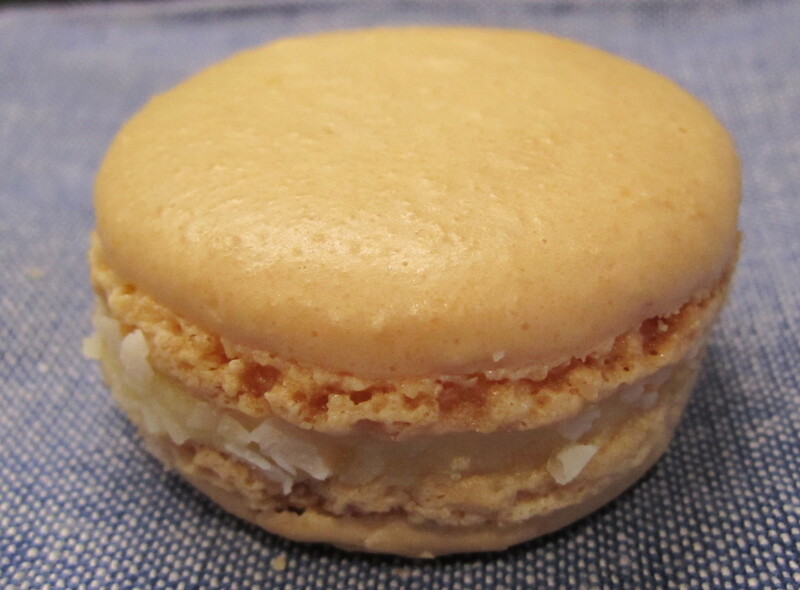 (2) The tour leader, Alexandra Leaf, asked us: From a taste standpoint, which macarons are better? 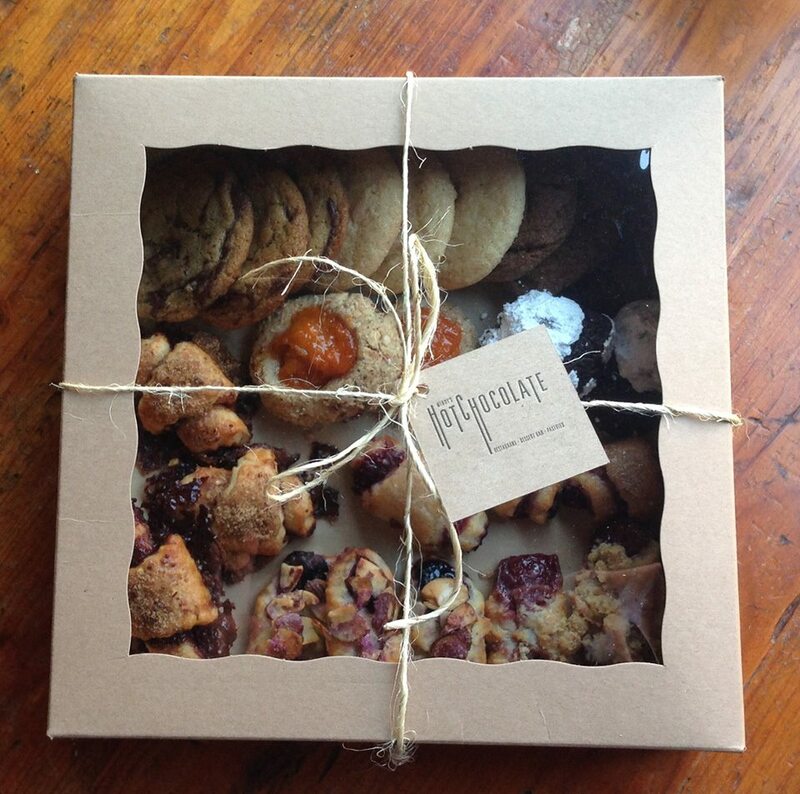 Those baked in France, flown here while frozen, or macarons baked locally? Commonsense would dictate that the local macarons would be fresher. Interestingly, I thought the macarons baked in France seemed fresher. One of the purveyors, La Maison du Chocolat, seemed extremely diligent about preserving the freshness of their products. I inquired about having a box of macaroons shipped and they refused; they would not be able to ensure the freshness of their products. My analysis:. With macarons, if probably depends more on the skill of the baker and attention to keeping the product fresh than on the location of the baking. I’ve also found this to be the case with chocolates. I frequent a Swiss chocolatier, with retail locations in New York. 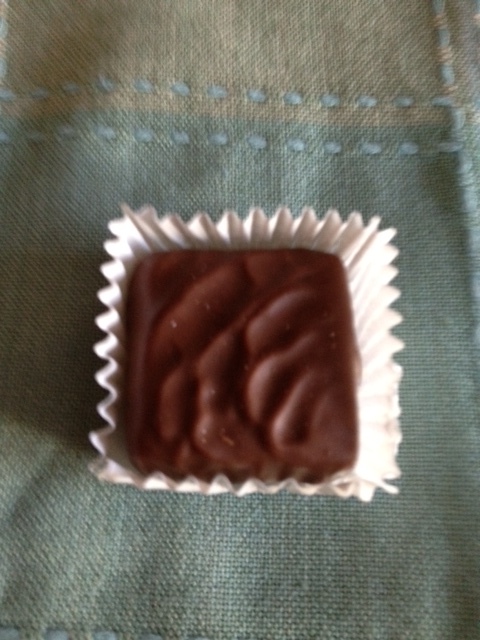 Teuscher’s chocolates are made in Switzerland and the products are flown to New York a few times each week. When I was in Switzerland years ago, I sampled Teuscher chocolates. (I told myself it was for quality control purposes only.) There was no difference in taste from those that I purchase at New York stores. Regarding overall macaron preference: of the four retailers/bakeries, I preferred two – one who imports macarons, La Maison du Chocolat, and one who bakes macaroons locally, Mille-Feuille Bakery and Café. 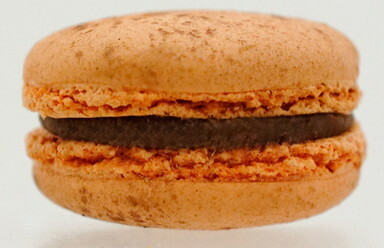 However, as most of the macaron purveyors in New York City are bakers from France, even the “local” macarons are French. Of course, deciding not to purchase imported foods because of the carbon footprint is a separate issue.